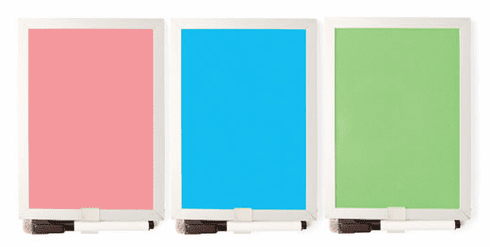 Magnetic back mini dry-erase boards. Great for school lockers, fridges, and any metal surface. Includes dry erase marker and magnets for mounting. Dimensions: 0.19" H x 13.97" W x 13.97" D. Price per item, color based on availability.